Failure to maintain Books u/s 44AA will attract penalty of INR.25,000. 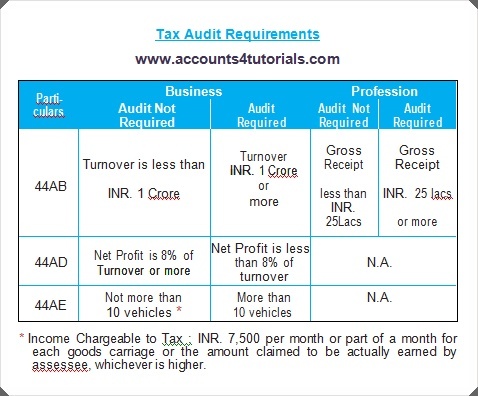 Failure to get accounts audited or furnish Tax Audit Report as required u/s 44AB will attract penalty of 0.5% of total Sales/Turnover/Gross Receipt or INR.1,50,000 whichever is less. TDS to be deducted by an Individual/HUF in respect of payments made if the books are Audited last year u/s 44AB.